I am recently re-admitted and cannot find my HPS Gettysburg disc but i do have my HPS Corinth disc. i desire to do some maneuvering before i play a yank. i really need some practice. 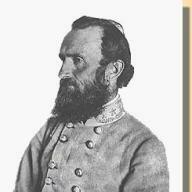 so are there any CSA Officers who would be interested in maneuvering with me especially to play a campaign of any length compared to a battle? i have read info about cheating or potential cheating on the forums and from what i can tell by playing campaigns the way the system limits how you name or save a battle that it is much more difficult for someone to cheat. is that statement correct? i was just wondering. Last edited by StonewashedJackson on Sun Jul 19, 2015 12:18 am, edited 1 time in total. Hi, General, and welcome back. I have been playing these games for many years now and have discovered it is not difficult to cheat. If anything, campaign games are easier to cheat on because you can't encrypt the scenarios. I have limited my play to two partners over the years and trust them both. Back when I started 16 years ago I played many different partners and saw no signs of cheating. Bottom line, the system depends on trust and integrity. ok thanks. i have only played battles with encryption. all my campaigns have been against the AI so i have never tried encryption for a campaign. i assumed you could encrypt them like a battle. what do you know about getting notified about these things? does it actually work? On that, I will have to defer to others. I have always preferred to check the forum regularly. That particular issue, the lack of automatic notifications from the forum engine, is being casually yet carefully scrutinized at the moment. It is good practice as Mike suggests now to simply check the forum regularly. On your encryption question, if I understand you correctly, one cannot encrypt JTS/HPS campaign access as is done with the battles. I do not think there is any method that allows encryption of Campaign games that ALLOWS for the information to carry on to the next scenario in the series. But, I remember, vaguely, some procedure like saving a campaign game as a BTE file, but I do not know all the aspects of how and when to do this. Maybe a search of the MDT of "campaign/encryption" might yield some answers. All the Campaign engine really needs is passwords implemented for the player to do his turn. Encryption is nice but not necessary.